It's the start of a new calendar year. Shouts of Happy New Year everywhere. Everyone is excited. No worries, No fears just joy and celebrations. This blog may just be a little over 2years old but thanks to you guys, I have recorded several achievements with this little blog of mine. In 2017, I have got a whole new package for y'all! Although 2016 might have brought it's fair share of ups & downs, we still celebrated a few achievement. At the beginning of 2016, I made a few wishes and one of them came to pass. Data finally got cheaper! We can only hope for more pleasant surprises in 2017. In 2017, Dammybas Blog is going to take a whole new direction. Be prepared for some exciting new content and competitions. Trust me, its going to be awesome. New changes are coming to the blog. Over the next few days you'll notice the change in the URL of the blog. I'm finally switching to a custom domain. The new URL will be www.dammybasblog.com.ng. Do not worry, the old domain (dammybas.blogspot.com) will still work and automatically redirect you to the new URL. The new domain name is courtesy Whogohost, Nigeria's leading web hosting company. You can check them out on www.whogohost.com. 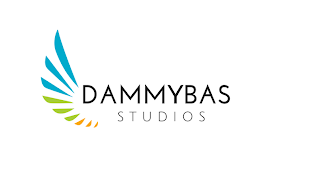 Also, I am proud to introduce to you the Dammybas Studio Youtube Channel. It is an infotainment channel where you'll find videos from different categories such as tech, comedy, music, sports etc. All tech tutorials and news bits for this blog will be hosted on the youtube channel. The channel currently has 688 subscribers and I'll be very glad to have you as our new subscriber. To subscribe or just view the channel, click here. Do not wait for a new year to start something. The best time to start anything is now! You are the youngest you can ever be at this particular moment. So raise your chin up and walk proudly into the new year. Once again, Happy New year to all the readers of Dammybas Blog. Wishing you all a pleasant 2017 filled with joy, laughter and new tech gadgets.